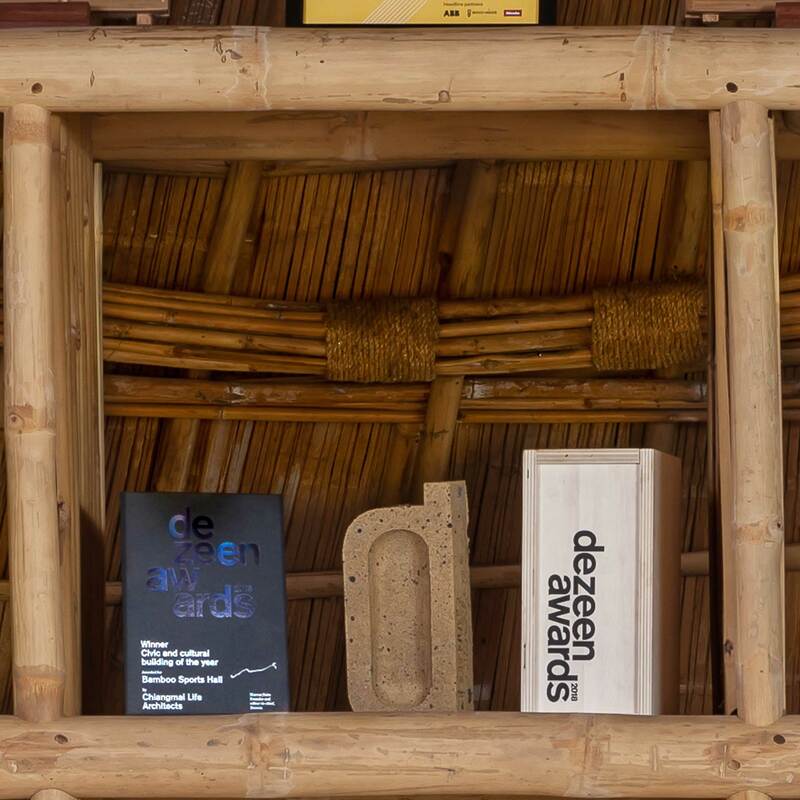 How would you display your trophy if you won a Dezeen Award? We asked some of the 2018 winners to share their “shelfies”. The trophies were designed by Dutch design studio Atelier NL and are hand-made from clay using traditional brick-making techniques. Each trophy came in a wooden presentation box and winners also received a printed certificate. This year a further 39 trophies will go to Dezeen Awards 2019 winners in categories spanning architecture, interiors and design. Enter now and start planning where you will put your trophy if you win! 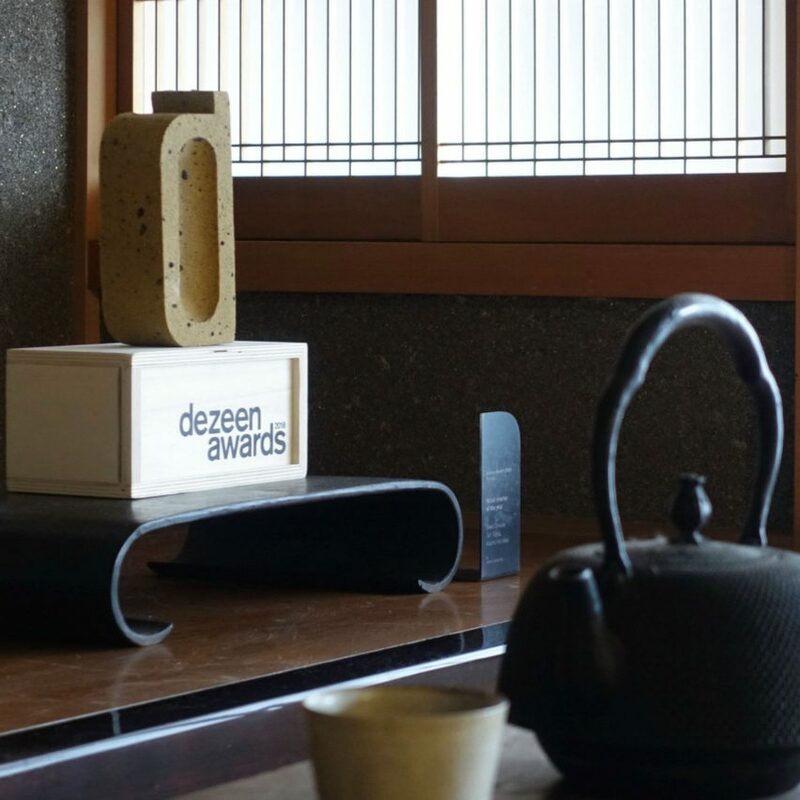 Fumitaka Suzuki of Yagyug Douguten, who won retail interior of the year at Dezeen Awards 2018, displays his trophy in an alcove at his home in Nara, Japan. Tokonomas are used to display objects of high aesthetic merit, such as flowers, hanging scrolls and Dezeen Awards trophies. 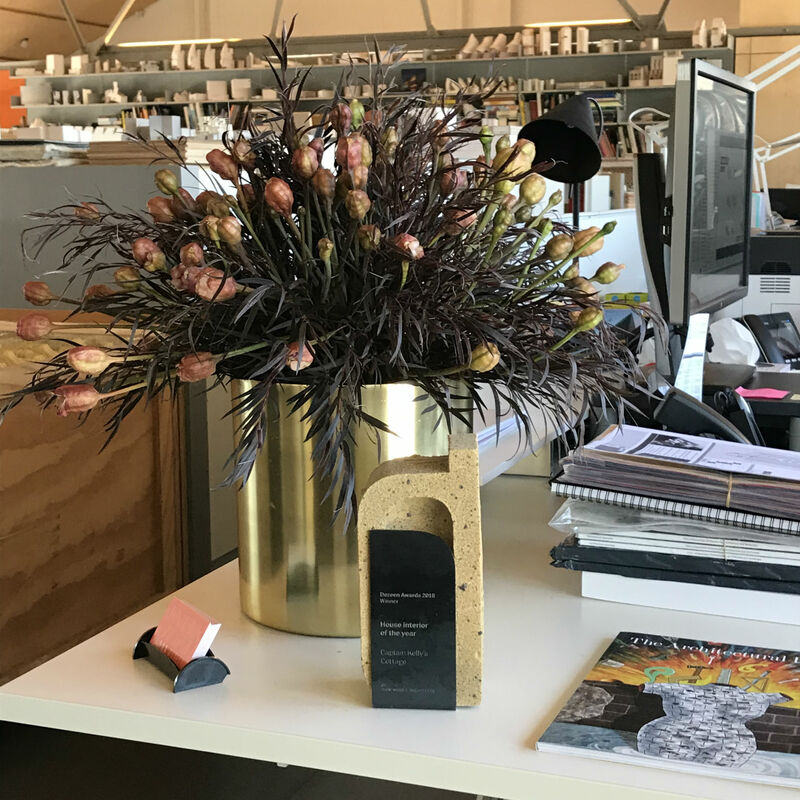 John Wardle Architects displays its trophy on its reception desk, where visitors often comment on its striking design. 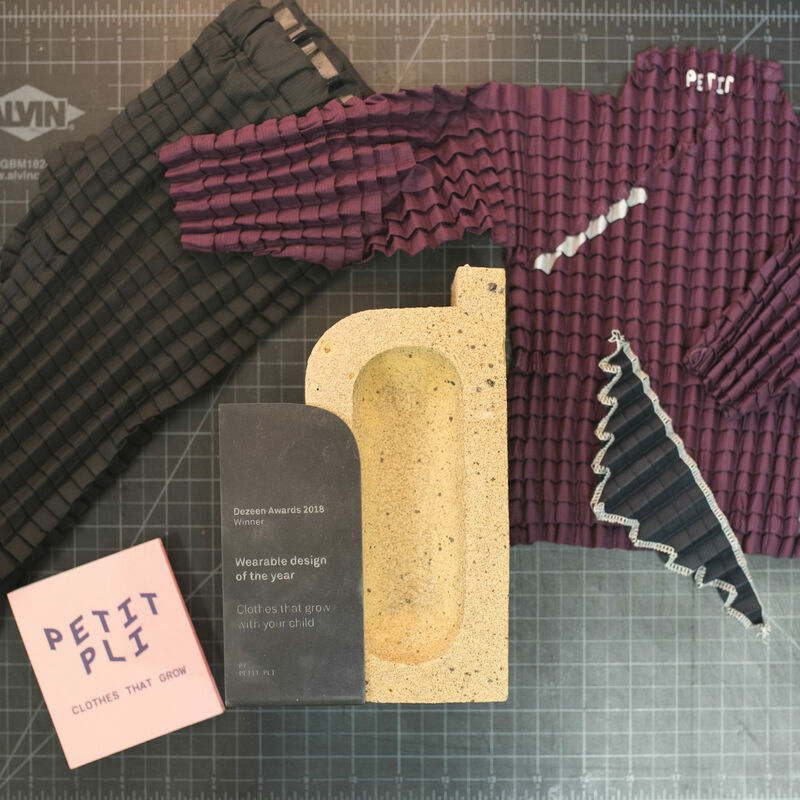 Petit Pli, which won wearable design of the year, displays its trophy at its London studio, but co-founder Ryan Yasin keeps the presentation box at home. 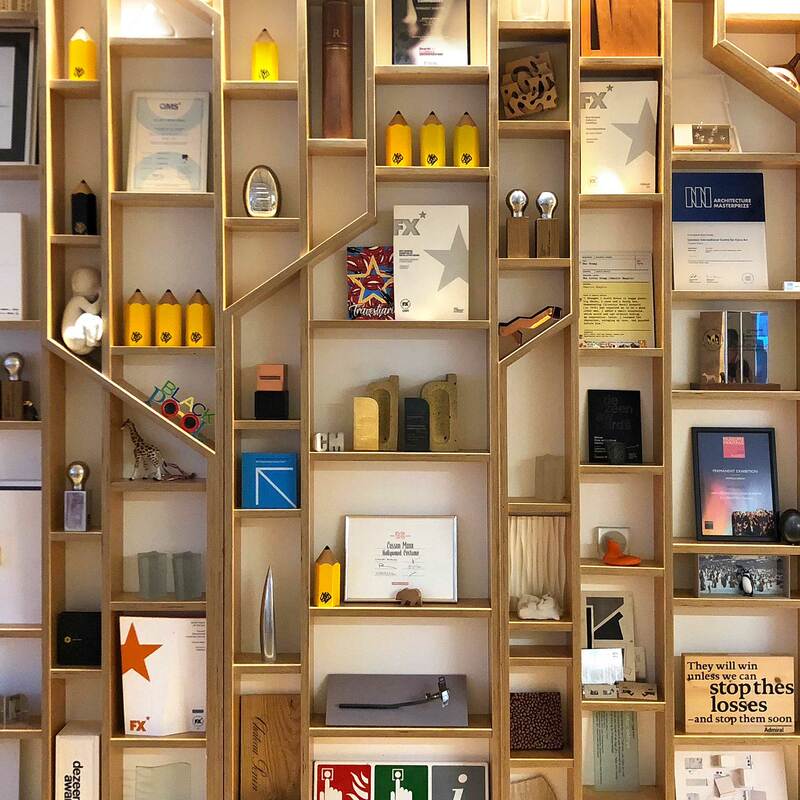 Interior designer Casson Mann has won dozens of trophies over the years but it has found space on its awards wall for its two Dezeen Awards, won for interior project of the year and civic and cultural interior of the year. Chiangmai Life Architects, which won civic and cultural building of the year, has given its award a special place on its awards shelf. Like the building that won the award, the shelf is made of bamboo. Daan Roosegaarde of Studio Roosegaarde won two awards, and he keeps them on a shelf in his office. At the awards ceremony, Roosegaarde asked attendees to sign his trophy box, turning it into a special souvenir of the evening. “When I was there at the ceremony, it was really exciting for me,” said Roosegaarde, who won design project of the year and lighting design of the year. 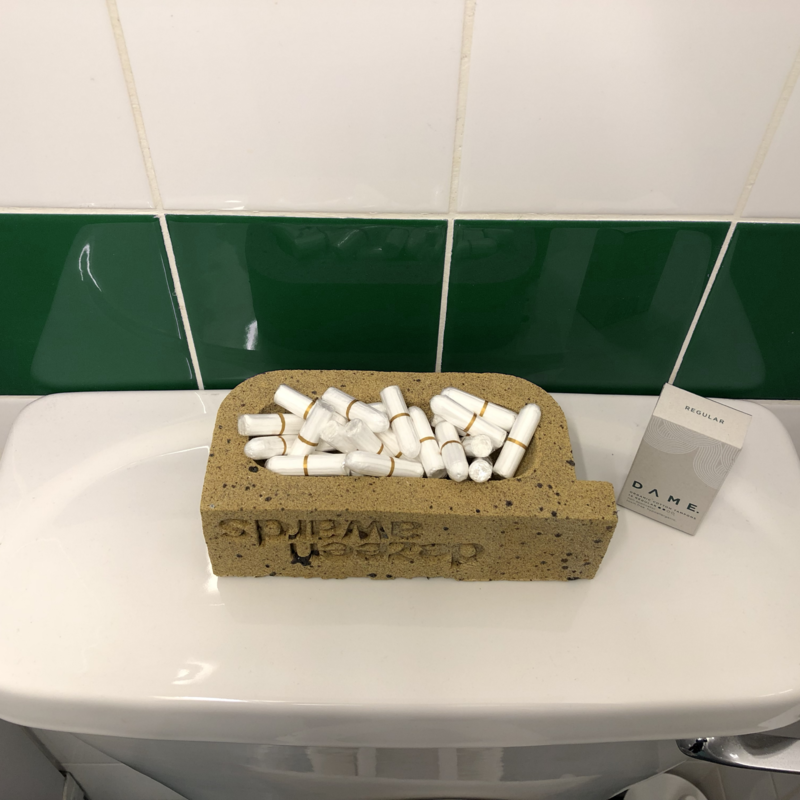 Dame won leisure design of the year for their reusable tampon applicator, and they have similarly repurposed their trophy as a tampon dish. 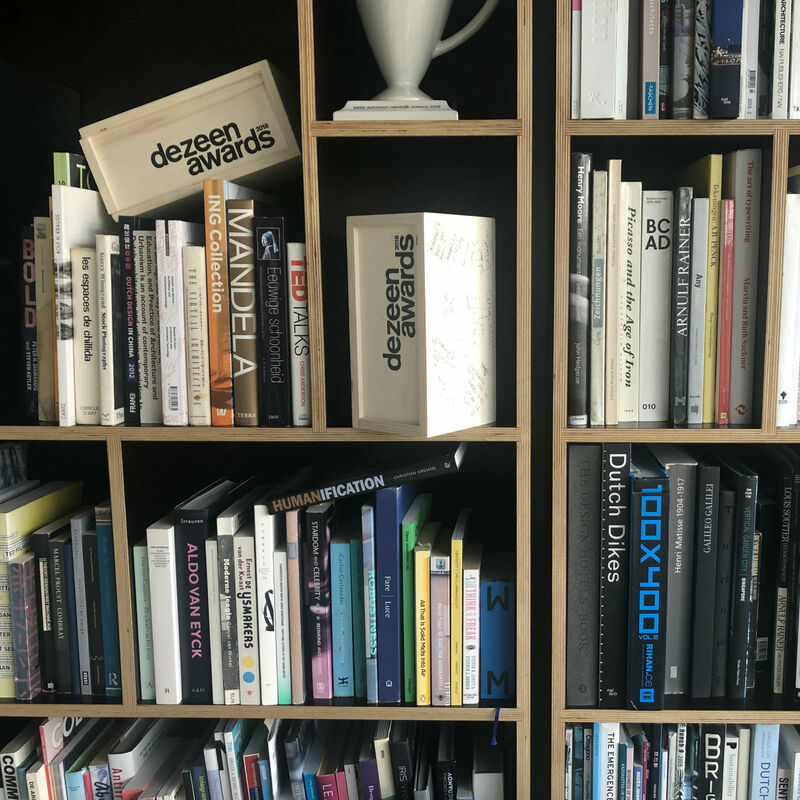 The post “The Dezeen Awards trophy gets many favourable comments from visitors to the office” appeared first on Dezeen.